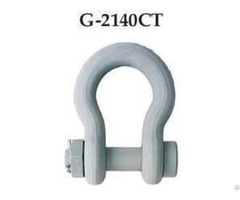 CROSBY G 210 D Shackle - Screw pin type chain shackle meets the performance requirements of Federal Specifications RR-C271D Type IVB, Grade A, Class 2, except for those provisions required of the contractors. 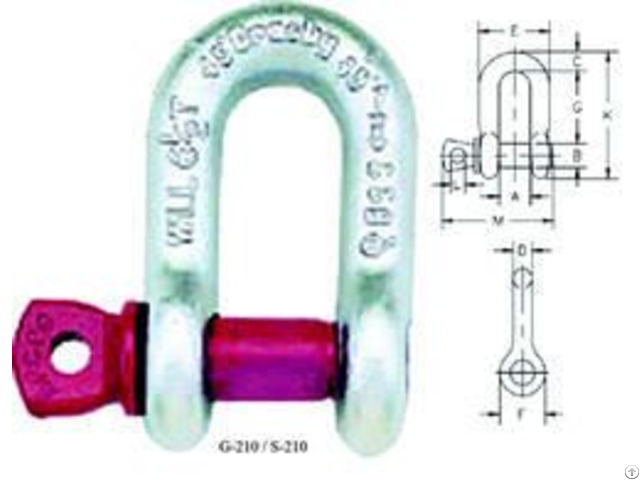 Crosby Screw Pin G 210 D Shackles are available from Capacities 1/3 thru 55 metric tons. 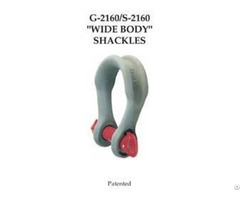 CROSBY G 210 D SHACKLES are Forged - Quenched and Tempered, with alloy pin. 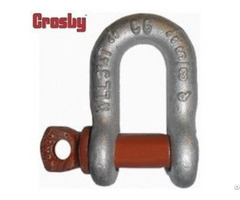 Crosby products meet or exceed all the requirements of ASME B30.26 including identification, ductility, design factor, proof load and temperature requirements. Importantly, Crosby products meet other critical performance requirements including fatigue life, impact properties and material traceability, not addressed by ASME B20.26. Look for the Red Pin the mark of genuine Crosby quality.